Concrete Placement, Inc. (CPI) was incorporated in the state of Texas on June 20, 1985; CPI is also licensed in New Mexico. CPI has completed all types of concrete work, including schools, multi-story buildings, supermarkets, office buildings, health care facilities, and millions of square feet of tilt-up concrete construction. CPI strives to provide an above industry standard project for a competetive price. CPI provides a detailed bid proposal allowing for the ease of bid comparisons and scope coverage. The bids include all tools, equipment, manpower, and work time to successfully complete a project in accordance with the general contractor's schedule. CPI is a member of the American Concrete Institute (ACI). Our experience includes working with small contractors up to top ten contractors, small projects to multi-million dollar projects. We have completed projects from place and finish only to total turnkey concrete work. CPI continually researches new technology to maintain cutting edge equipment. To date, this includes a Somer S-240 Laser Screed, several soft cut saws, numerous ride-on trowells, laser-guided fine grading, and laser layout equipment. 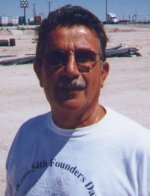 Our President, Carlos Minjarez, has been involved with concrete work since 1968, starting as a carpenter, working up to foreman then the position of construction manager for a general contractor. 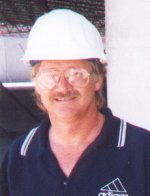 Carlos Minjarez was the 1993 local president and past member of the board of directors of the American Concrete Institute. Carlos oversees all field operations. 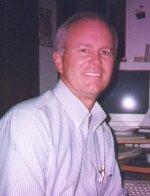 Vice-President Philipp G. Dieter III has been in the construction industry since 1970 learning from various organizations, including R. E. McKee General Contractors. Phil handles marketing and development. Vice-President Keith B. James has been in the construction industry since 1976 learning from various organizations, including J. A. Jones Construction Co. Keith handles estimating and accounting. The three principals have a combined experience of 83 years. Carlos, Phil, and Keith began working together in 1980 giving us a twenty year continual working relationship.